With a consent judgment issued by a New York federal court, Take-Two Interactive has settled its case with a prominent GTA V cheat maker. The Georgia man, one of the key people behind the ‘Menyoo’ and ‘Absolute’ cheats, allegedly earned more than $100,000 from the copyright-infringing activities. Take-Two Interactive Software, the company behind ‘Grand Theft Auto V’ (GTA V), is working hard to eliminate cheaters. The company has filed several lawsuits in the US and abroad, accusing alleged cheat makers and sellers of copyright infringement. One case, filed at a New York court a little over a year ago, targeted Georgia resident David Zipperer, who was accused of working on and distributing the ‘Menyoo’ and ‘Absolute’ cheats. Zipperer didn’t deny his involvement and said that he had already stopped working on the cheats. With help from a pro-bono attorney, he discussed a possible settlement. However, the game company wanted “tens of thousands” of dollars, which the defendant said he couldn’t afford. “My client has no money. He swore to this Court that the money he earned from selling ‘cheat menus’ was used to support his family, that the money is gone, and that he has none left,” Zipperer’s attorney informed the court last summer. Take-Two didn’t believe the cheat maker and swiftly submitted a scathing reply, painting a different picture. According to the game company, Zipperer repeatedly misled the Court regarding his financial situation. Through a subpoena, they found out that the cheat maker earned at least $100,000, possibly much more. Some of these profits were spent on expensive electronic equipment and other personal purchases. “Mr. Zipperer clearly has significantly more resources than he has repeatedly represented to this Court. We believe that these PayPal records reflect only a small fraction of the proceeds Mr. Zipperer has received from his illegal businesses,” the company wrote. After the New York court issued a preliminary injunction Take-Two wanted to see a healthy settlement. It’s unclear whether it got what it wanted, but this week both parties agreed to a settlement, which is part of a consent judgment signed by the New York federal court. of money”, according to the legal paperwork. It is clear, however, that Zipperer agreed that his work on the Menyoo and Absolute cheats constituted copyright infringement. He admittedly profited from these infringements, which caused Take-Two significant losses. caused, and continue to cause, Take-Two great and irreparable injury that cannot be fully compensated or measured in money,” the consent judgment reads. 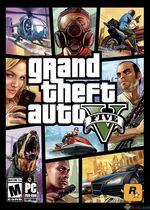 The court order also includes a permanent injunction which prevents the cheat maker from engaging in any activities that infringe on the copyrights of Take-Two games, including GTA V. Creating or selling cheats for these games is also strictly prohibited. This settlement is the latest in a series of similar outcomes. Several of Take-Two’s other lawsuits also resulted in confidential settlements. A copy of the consent judgment signed by US District Court Judge Louis Stanton is available here (pdf).